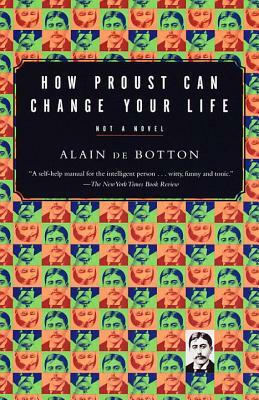 Alain de Botton combines two unlikely genres--literary biography and self-help manual--in the hilarious and unexpectedly practical How Proust Can Change Your Life. Who would have thought that Marcel Proust, one of the most important writers of our century, could provide us with such a rich source of insight into how best to live life? Proust understood that the essence and value of life was the sum of its everyday parts. As relevant today as they were at the turn of the century, Proust's life and work are transformed here into a no-nonsense guide to, among other things, enjoying your vacation, reviving a relationship, achieving original and unclichéd articulation, being a good host, recognizing love, and understanding why you should never sleep with someone on a first date. It took de Botton to find the inspirational in Proust's essays, letters and fiction and, perhaps even more surprising, to draw out a vivid and clarifying portrait of the master from between the lines of his work. Here is Proust as we have never seen or read him before: witty, intelligent, pragmatic. He might well change your life. Alain de Botton was born in 1969. He is the author of the novels On Love, The Romantic Movement, and Kiss and Tell; his work has been translated into sixteen languages. He lives in Washington, D.C., and London.